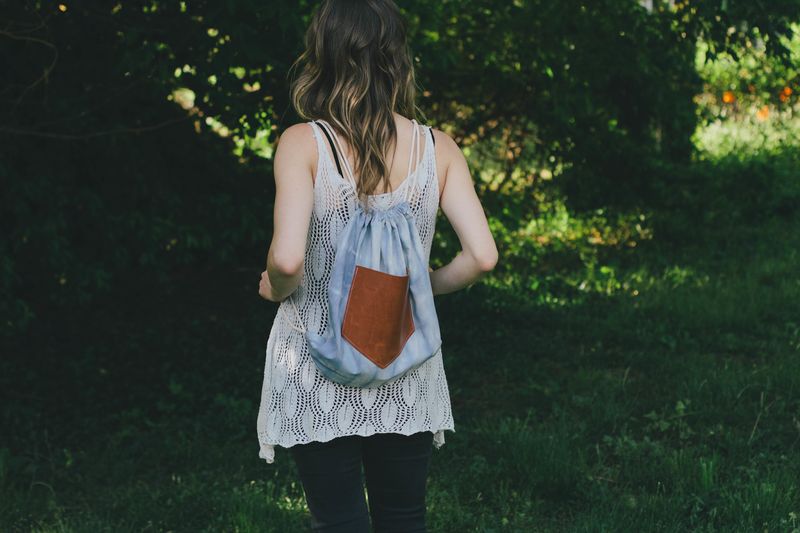 Spring is the time to break out the small backpacks. 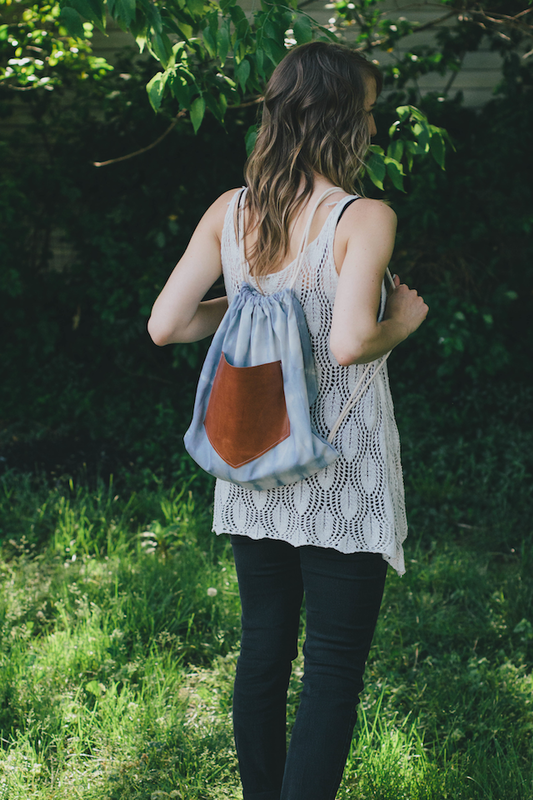 I whipped up this drawstring backpack the other day and I'm ready to fill it with spring essentials and go on a trip! 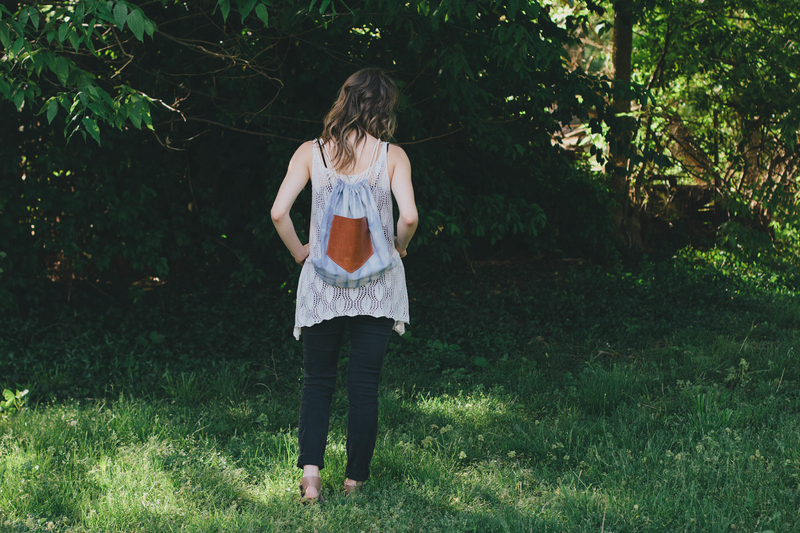 Steps: Dye your fabric anyway you want. 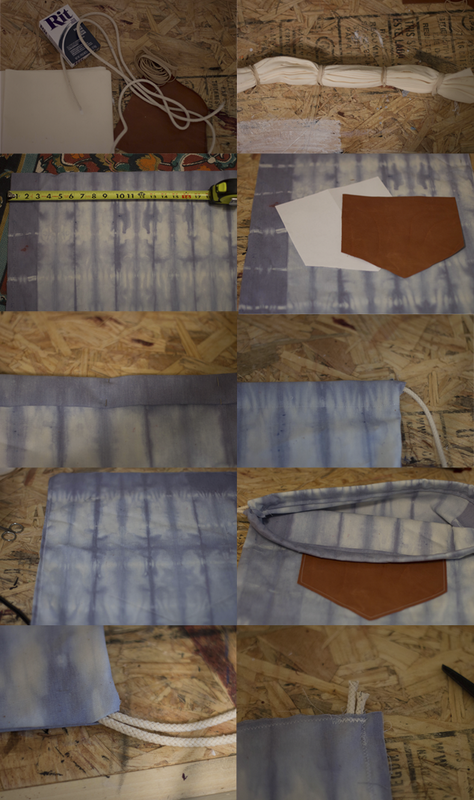 I folded mine like an accordion and then added rubber bands for an indigo-dyed look. Cut two pieces of fabric 16 inches wide by 18 inches long. 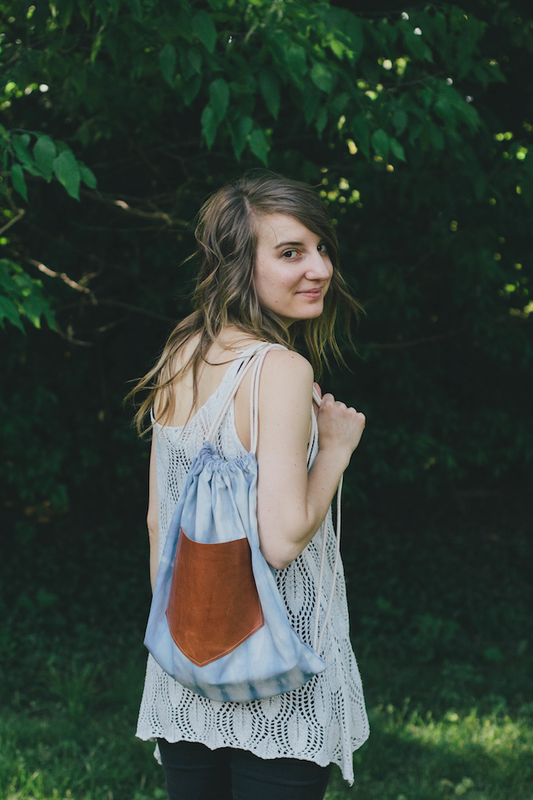 Cut out a pocket shape from the leather and sew onto one piece of fabric with a leather needle. With the two pieces of fabric right sides facing each other, sew around three sides leaving three inches near the top on the two length sides. Fold down the top fabric section and sew around opening. Cut your rope into two pieces that are 2 yards long each. Feed one end of the rope through the opening and pull all the way through. Repeat this on the opposite side with the rope. Using a seam ripper, make a small opening at the corners and then feed through the ends of the rope. 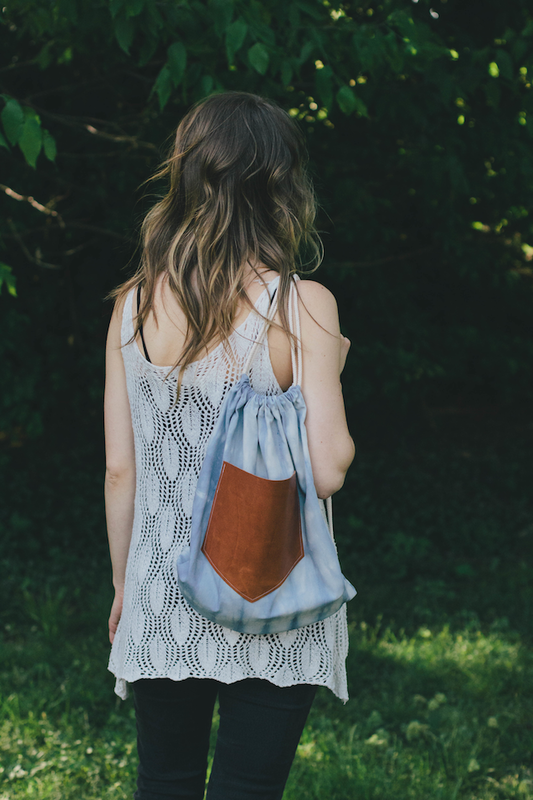 Fold your bag inside out and sew around the rope. Now I'm ready to take my bag to the beach. Thanks to my friend, Erin for helping me snap these photos! Wow, I haven't stopped by here in awhile (finals were crazy crazy), so many great posts! 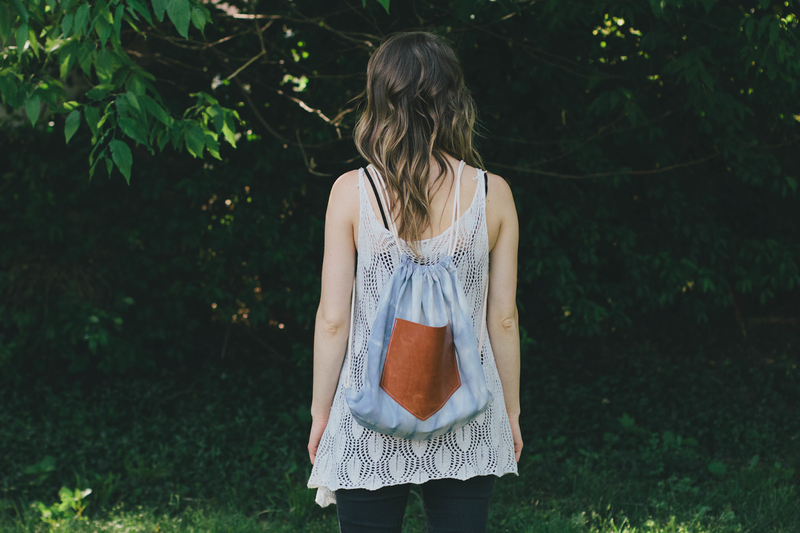 Absolutely adore this DIY. Your little crafty creations are so adorable. 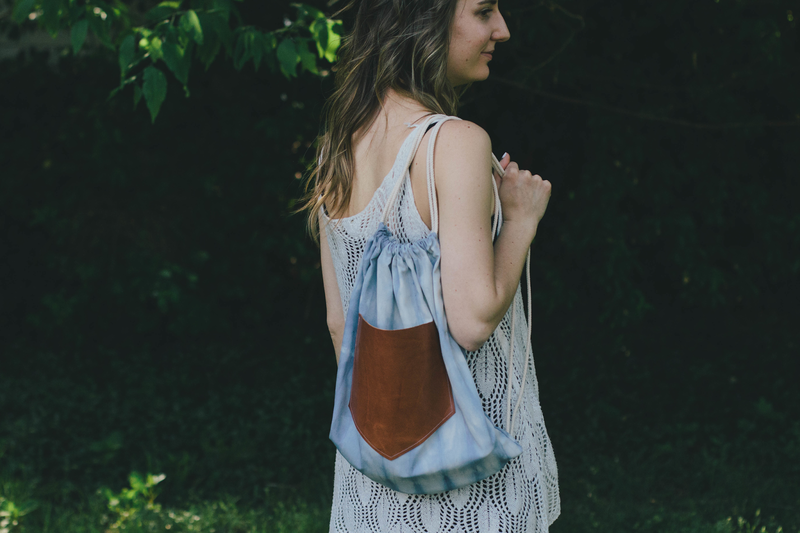 :) Love the tie-dye look and casual sling bag! Hi Courntey! I'm Elisabeth and I just started a blog. Do you have any blogging tips? I really love your blog!